Tibetans like to say that Tantra is the only vehicle that can allow you to attain enlightenment in a single life and that, otherwise, it would take a few eons of collecting merit. What gives rise in you to the indisputable fact they're enlightened? I can only take Ajahn Chah at his word and TNH at his implication. I don't think tantra is made out as the only and it isn't made out as a guarantee either. Tantra is actually difficult to define according to my teacher. According to the Dalai Lama, Geshe Kelsang Gyatso, and Je Tsongkhapa, tantra is the only way to attain enlightenment in one lifetime, but not a guaranteed way. I think the way Tibetans think about enlightenment is a little different. They have the bodhisattva path and one enters onto it officially with a small enlightenment of gaining a glimpse through the conventional world, what is called the path of seeing. There are then 9 more subsequent levels until one attains full enlightenment or Buddhahood. Also suffering ends at arhatship but Mahayanists believe that there are still 'knowledge veils'. The 'kleshas veils' are done at arhatship which kleshas are stains or 'suffering'. So then the path goes onwards from peace to become a complete Buddha. That's Mahayana though and not just tantra. I suppose I should clarify, and by clarifying I answer my own question. Omniscience is the goal of Mahayana buddhahood. The end of suffering of the individual is the goal of Theravada buddhahood. So maybe the Tibetans are right that tantra is the only way to omniscience in a single lifetime. @lobster I dunno but it sounds smart. Omniscience is the goal of Mahayana buddhahood. "If you don't feel that you're Enlightened...You can always try to be!" "Practice is not separate from Enlightenment-Enlightenment and Practice are one ! " Omniscience is the best way to help free all beings from their suffering, so how is it not the ultimate goal of Mahayana? I love Zen. It seems to just skip to the end. This is a perfect example of an "imponderable". You shouldn't waste time thinking about it. Just keep chopping your wood, and hauling water. Keep practicing. P.S. A LOT of Tibetans get derailed, taking the dangerous "quick path" to Enlightenment. Most lay Tibetans are well aware that it's dangerous, and don't attempt it, wisely. What do you think is dangerous about it? I know they say it is dangerous and you need to be initiated, but to me it seems more dangerous living in delusion and affliction. If tantra is the atomic bomb that blasts the self-cherishing "I" to smithereens, it's tough to see the downside. The "I" is examined and not destroyed. "I" isn't here and never was. We just don't realize. Or maybe it is here but we don't understand. So where is the "I"? Body? I just mean the concept of the I, the figment of the imagination that's responsible for all afflictions. There is no "I". Since there isn't an "I" one cannot talk about a single life, let alone multiple lifetimes. "Bhikkhus! This wrong view is called a false belief, a jungle of false beliefs, a desert of false beliefs, a thorny spike of false beliefs, an agitation of false beliefs and a fetter of false beliefs. Bhikkhus! The ignorant worldling who is bound up with the fetter of false beliefs cannot escape rebirth, ageing, death, grief, lamentation, pain, distress and despair. I declare that he cannot escape dukkha. When we say it’s raining, we mean that raining is taking place. You don’t need someone up above to perform the raining. It’s not that there is the rain, and there is the one who causes the rain to fall. In fact, when you say the rain is falling, it’s very funny, because if it weren’t falling, it wouldn’t be rain. In our way of speaking, we’re used to having a subject and a verb. That’s why we need the word “it” when we say, “it rains.” “It” is the subject, the one who makes the rain possible. But, looking deeply, we don’t need a “rainer,” we just need the rain. Raining and the rain are the same. The formation of birds and the birds are the same—there’s no “self,” no boss involved. There’s a mental formation called vitarka, “thinking.” When we use the verb “to think” in English, we need a subject of the verb: I think, you think, he thinks. But, really, you don’t need a subject for a thought to be produced. Thinking without thinker—it’s absolutely possible. To think is to think about something. To perceive is to perceive something. The perceiver and the object that is perceived are one. When Descartes said, “I think, therefore I am,” his point was that if I think, there must be an “I” for thinking to be possible. When he made the declaration “I think,” he believed that he could demonstrate that the “I” exists. We have the strong habit of believing in a self. But, observing very deeply, we can see that a thought does not need a thinker to be possible. There is no thinker behind the thinking—there is just the thinking; that’s enough. Thinking without a thinker. Feeling without a feeler. What is our anger without our “self”? This is the object of our meditation. All the fifty-one mental formations take place and manifest without a self behind them that’s arranging for this to appear, and then for that to appear. Our mind consciousness is in the habit of basing itself on the idea of self, on manas. But we can meditate to be more aware of our store consciousness, where we keep the seeds of all those mental formations that are not currently manifesting in our mind. When we meditate, we practice looking deeply in order to bring light and clarity into our way of seeing things. When the vision of no-self is obtained, our delusion is removed. This is what we call transformation. In the Buddhist tradition, transformation is possible with deep understanding. The moment the vision of no-self is there, manas, the elusive notion of “I am,” disintegrates, and we find ourselves enjoying, in this very moment, freedom and happiness. I don't see why enlightenment is something that carries like that. Even you are enlightened in one life doesn't necessarily mean you are the next. I mean yes it could make it easier for it to happen by doing good one life perhaps, but enlightenment is something very simple it is just the realisation of the nature of things not just in the intellectual sense, the only reason it is so hard to get or seems so is because so many distortions and blind spots people carry. Every human person has the potential for that theoretically. Besides thinking in that sense detracts from the present, you can't really determine what happens 'before or next' if you can define such a thing. What's more important is living well. I think it is no surprise that different people end up teaching and embodying different paths. Your intuition guides you to that which speaks to you, the beginnings of paths that you need to explore to take a next step. My belief is that once you get to a certain level, your intuition knows what would help you. I think a lot of people would be helped by taking some more distance from material possessions, and many people avoid suffering. Conventionally there's an I, but not ultimately. The conventional I doesn't exist at all and doesn't go from life to life. The mind, which is not self, goes from life to life. So, there's a mental continuum that carries on, but it is empty. You pretty much summed up how I feel on the matter as well. I really do prefer the term "awake" over enlightened when talking about a goal. 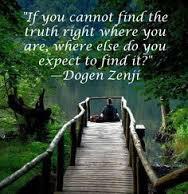 To be enlightened is to "get" the truth but that part is theoretically the easy part. It's not like we would have to know every variance of every answer to every question that could ever be asked. We'd just have to have a proper understanding of how things work or right/harmonious view. Ok, so you're enlightened, big deal. Does that mean you're aware 24/7 and completely awake? I think digging the truth is easier than living according to that same truth. Almost as if enlightenment is just the first long step to waking up. Just thinking out loud, not forming a belief. You can be sure you are right. Question is - What is mind? And from whose life to whose life? What is it that carries on? Bhikkhu Sati held the wrong view that there is this "mind" that carries on. As I understand the Dhamma taught by the Blessed One, it is just this consciousness that runs and wanders on, not another. I'd agree there. Nobody can be you more than you can so you are the perfect example of you there could ever be. And of course being unique isn't very "special" but it is what makes you useful. You know what makes us even more useful though? I don't think that means omniscience or knowing everything. The same way a candle flame can light another candle flame. The flame doesn't have a self and it's always changing. The new flame is neither the same nor different. Mind is like that. It's not a self and it gets passed to the next life by dependently arising conditions. my personal opinion is that tibetan buddhism is university stuff.i would flunk out.to each his/her own.im ok with theravada with sprinkle of my personal-not-doing-it-right-idiot doa-zen. another opinion we all are en-lighten by dharma.so issue is about merit?my attitude , do what you can.little by little-it adds up.being of service is the enlighten way.awaken masters such as buddha is most who serves the least--upon his awakening.the suttra suggest his choice to teach or noble silence.he taught--on the basis of compassion--hence we are enlighten through the exposure of suttas and suttras. imo. @JaySon Can you link me a quote to where Ajahn Chah ever claimed to be enlightened? I've studied his teachings for the past seven years and haven't found one yet. I've come across some of his students who believed he was an arahant but no direct reference from the great man himself. I'll post it when I come across it again. I never read any statement from Ajahn Chah nor Thich Nhat Hanh nor any of our great teachers on which they even slightly imply that they are enlightened. As to paths leading to enlightenment, all is pure speculation. There are the Four Noble Truths and the Noble Eightfold Path. Whatever works for you in helping you attain inner peace and bring about cessation of suffering, just do that. And do not label it Enlightenment nor anything. Just keep chopping wood happily away. I'm at work right now. Will post it when I can. Certainly, there are old stories in Tibetan Buddhism about someone gaining enlightenment in a flash. But most (not all) of these stories of then go on to talk about the countless lifetimes of prior practice which led up to this seemingly-instant enlightenment. As for most if not all of us, my teacher (an old Tibetan monk with a Geshe degree), tells us that it is "little-bit-by-little-bit". In fact, he tells us that our "goal" should be to set firm imprints (karmas) within us by DOING our practice, so that in our next life we will be drawn to the Dharma and therefore be able to continue our work towards enlightenment. Remember, too, that Buddhism is a process, not a goal. Focus on what you are doing in this moment, rather than on where you hope to go in the future. Be persistent and patient. And compassionate with your flaws and failings, since until enlightenment we are all flawed. Quite frankly, you can still be very UN-enlightened and yet begin to reap the benefits and inner peace that your practice develops within you. That flame is impermanent and doesn't get passed on to another candle when it is extinguished. What is impermanent has no real essence and is not self. There is no "thing" to get passed. Just empty phenomena/processes. idappaccayata [idappaccayataa]: This/that conditionality. This name for the causal principle the Buddha discovered on the night of his Awakening stresses the point that, for the purposes of ending suffering and stress, the processes of causality can be understood entirely in terms of forces and conditions that are experienced in the realm of direct experience, with no need to refer to forces operating outside of that realm. Now that is a plan. Suitable for beginners, cushion junkies the zenith (also a fire path - enlightenment in this life) and the enlightened. Don't chop too much wood though. We still need that stuff to breathe. @David said: Don't chop too much wood though. We still need that stuff to breathe. Fortunately, there are many naturally-fallen twigs, branches, limbs and full trees that are able to keep nature-loving woodcutters busy. These already-dead sources will keep those interested busy, and actually it can do much to help clear debris and put the dead wood to good use. Of course, if you're not there to hear the sound, how will you know it's fallen....? Referring to these practices / modes of being as "lesser practices" is wrong. 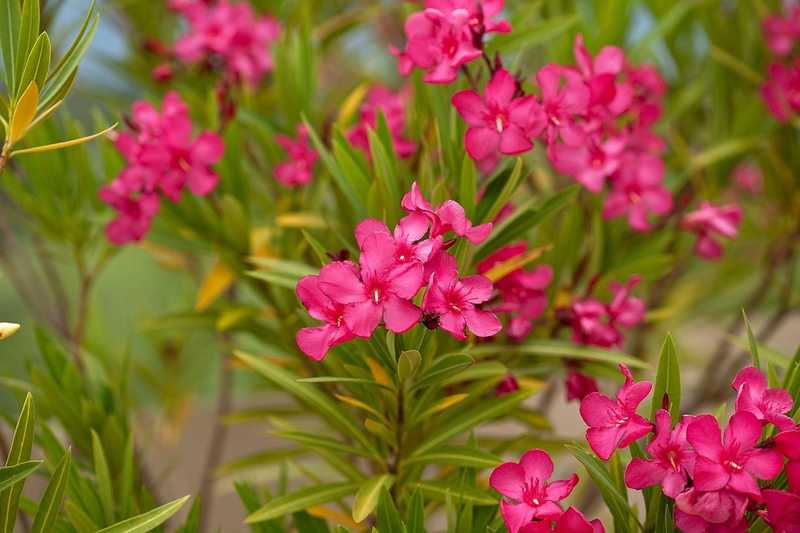 Nerium Oleander. Or Chamaenerion angustifolium (Rosebay willow herb). Can't quite tell... I suspect the former. Consciousness/the mind. That's what goes from life to life. It is empty, like everything else. So @JaySon did you come across that quote? Am very interested in learning it. Is consciousness/subject separate from its objects ie. sights, sounds, smells, taste, touch, feelings, thoughts? Is there a thinker without the thoughts? Isn't it just an assumption that the thinker exists independent of those thoughts? There is simply no way the "thinker" knows what thoughts are coming next until they appear. Thinking/thinker/thoughts are dependently arisen. They are one and the same. No separation. Or experiencer without the experience? So which consciousness is it that passes on? Is it the eye, ear, nose, tongue or mind(feeling, perception, volitional formations)? "Consciousness, monks, is classified simply by the requisite condition in dependence on which it arises. Consciousness that arises in dependence on the eye & forms is classified simply as eye-consciousness. Consciousness that arises in dependence on the ear & sounds is classified simply as ear-consciousness. Consciousness that arises in dependence on the nose & aromas is classified simply as nose-consciousness. Consciousness that arises in dependence on the tongue & flavors is classified simply as tongue-consciousness. Consciousness that arises in dependence on the body & tactile sensations is classified simply as body-consciousness. Consciousness that arises in dependence on the intellect & ideas is classified simply as intellect-consciousness. Perhaps it's the experiences that ceases at the very end. "Now what, bhikkhus, is the Nibbana-element with no residue left? Here a bhikkhu is an arahant... completely released through final knowledge. For him, here in this very life, all that is experienced, not being delighted in, will be extinguished. That, bhikkhus, is called the Nibbana-element with no residue left. I've been studying Heart Sutra and Diamond Sutra, but will post when I'm studying Chah again and find it. Nothing is separate from anything. The 3,000 chiliocosms aren't separate from the mind and the mind is not separate from the 3,000 chiliocosms. Everything is part of everything else. Nonetheless, there is a mental continuum that passes from life to life. But it too is empty of inherent existence. It doesn't exist by itself. Consciousness depends on the other aggregates to manifest life to life. Nonetheless, there is a mental continuum that passes from life to life. Until? Or is it forever and ever without beginning or ending? who knows? Does it matter? All we know - and focus on - is Now, and improving our lot. That's a great plan. Pay attention to the present. The past is merely a memory and the future a fantasy happening right here and now. that's how you develop the heart. with Mortality & his mighty horde. 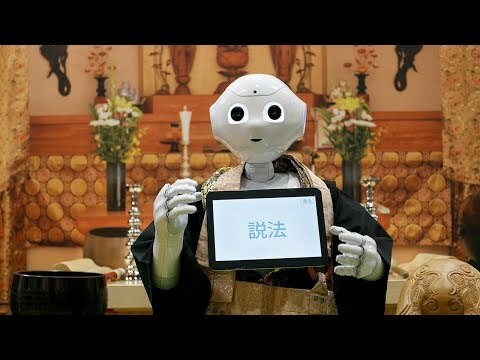 @pegembara has provided two excellent posts based on being in the present/mindful being not some imagined cosmic super-sentient future life/realm. The truth is very simple. Beginning and end are just concepts, not reality.